We were without internet connection for 4 days. Hard on my modern living way o'life, but it didn't stop me from being silly as usual. On your left, a tree, on your right, a bunny. 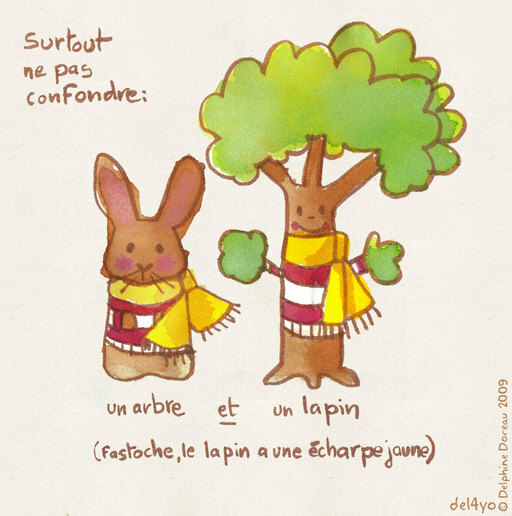 It's easy to make the difference, the bunny has a yellow scarf.